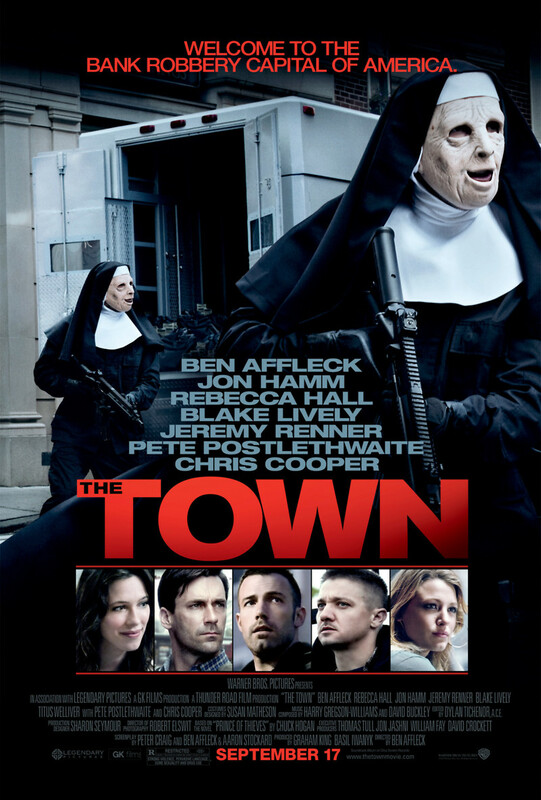 The Town DVD and Blu-ray release date was set for December 17, 2010. Douglas "Doug" MacRay falls hopelessly in love with bank manager, Claire Keesey. There's just one problem -- she is unaware that he is a member of a bank-robbing gang who has not only just robbed the institution that Claire works at, but has kidnapped her and plans on killing her to avoid police interference. Doug and one of his fellow gang members, Jem, end up bring attention to themselves anyway when they attack the men who Claire claimed stalked and harassed her. FBI Agent Adam Frawley recognizes them via surveillance tape and warns Claire to stay away from Doug -- Claire obliges. Meanwhile, Doug is coaxed into going on another heist, which doesn't go as planned.